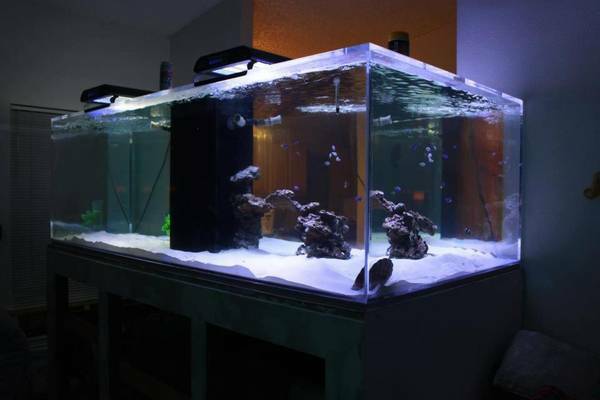 720 gallon fish tank including sump. 3/4″ acrylic tank made by tenecor. Comes with protein skimmer, 2 uv sterilizers, all plumbing, two 48″ led light fixtures, 200 gallon sump, no stand. 360 degree viewing, center overflow.